While the medical marijuana law generated much of the attention during the 2013 legislative session, it is actually the synthetic marijuana ban that will have the greatest impact on state drug policy. 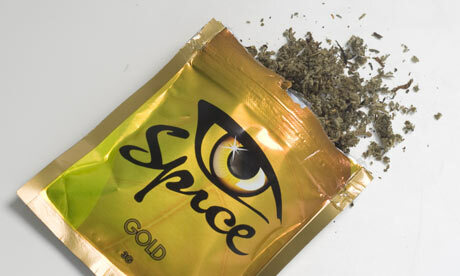 As of October 2013 synthetic marijuana is no longer legal in Maryland, after the bill passed almost unanimously back in April. The new law is similar to the federal ban, and lists numerous chemical compounds that are commonly found in products such as Spice and K2. These products are basically herbs and spices that have been treated with chemicals designed to mimic the effects of cannabis. The manufacturers of these products have constantly changed their chemical compounds over the last several years in order to stay one step ahead of state and federal law enforcement. It’s a logical question to ask why the state and federal governments can’t make a blanket law banning any type of synthetic marijuana, therefore making it pointless to keep changing the chemical compounds. The answer to this question is also the reason why it is so important to hire an experienced criminal defense attorney if you or a loved one has been charged with possession or sale of these substances. All laws must specifically explain the type of conduct that they make illegal, and the state must be able to prove violations of these laws beyond a reasonable doubt. The only way to prove that a person possessed a controlled substance is to scientifically prove that the substance is what the government says it is. The state’s attorney cannot simply introduce a baggie of cocaine at a trial, and then argue that the defendant is guilty. An expert witness, or his or her chemical lab report must be introduced to sustain a conviction. The same is true for this new synthetic marijuana law. That state can produce the packaging, and the actual substance, but if it is not tested for a specifically banned chemical then the case must be dismissed. Some lawmakers have lobbied for even stricter laws regarding Spice, K2, and other synthetic drugs. These laws would make the substance illegal due to the effect it has on a person who ingests it regardless of the chemical content. But laws like this could easily be challenged in court and most likely would be unconstitutionally void for vagueness. State and federal lawmakers can talk tough about enacting generalized bans for all types of synthetic marijuana and bath salts, but every defendant who is charged with a violation of these hypothetical general laws would be entitled to their day in court. For now though, there are cases going on where cops are arresting or citing people for synthetic marijuana before any type of testing is done. And it's only a matter of time before state prosecutors decide to make an example out of a defendant charged with possession or sale of these substances. Do not let this happen to you! Benjamin Herbst has successfully represented hundreds of individuals charged with controlled dangerous substance offenses, and is standing by to offer a free consultation about your case. Contact The Herbst Firm at 410-207-2598 anytime.